Early on in the fracking boom, oil and gas geologist Art Berman began sounding an alarm (see example). 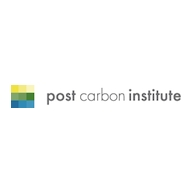 Soon geologist David Hughes joined him, authoring an extensive critical report for Post Carbon Institute (“Will Natural Gas Fuel America in the 21stCentury?”), whose Foreword I was happy to contribute. The obvious implication is that one way or another the market will balance itself out. Drilling and production will decline (drilling rates have already started doing so) and prices will rise until production is once again profitable. So we will have less gas than we currently do, and gas will be more expensive. Gosh, who da thunk? “These shale assets are forever,” he said. 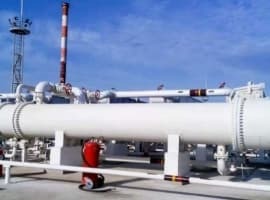 “They are going to produce for a hundred years.” (the "busts" complained about in these articles is the fact that there is so much gas that the price had fallen below fully distributed costs (a temporary and irrelevant factor)). The article is not based in reality. Natural gas is available at one eighth the price of gasoline or diesel per energy unit. Engines, and vehicles of all kinds are being converted to use this cleaner, cheaper, better fuel. Executives and accountants know that they can make greatly increased profits, and be more competitive, by spending less on fuel. These comments seem to be talking past the article. The main point being that "the price will rise." 3) Lower price than production cost (so less drilling, meaning less new production). All those add up to less gas, and thus higher prices. How high is a good question. But unlimited future of nat. gas is doubtful and the market will probably be volatile, I'd certainly be careful. So, there will be ups and downs in natural gas supply, and ups and downs in the price as a result? Such revolutionary vision! Who could ever believe such a thing could happen in any commodity market? The author boldly predicts that the consequence of current low natural gas prices will be a lower rate of drilling. Wow! Who couild have imagined that? The reality is that the natural gas rig count has steadily declined for FOUR YEARS now, from a high of 1600 in 2008, to the low 400s today. Despite that steady and drastic decline in rig count, overall natural gas supply has only this year begun to slightly decline. Why? Because all of these "unprofitable" companies have become better and better over time at maximizing production from the wells they are drilling. Who could have guessed that would happen? Why, it's never happened before in any other oil or gas boom, has it? The author cites two rogue geologists out of a U.S. population of tens of thousands of such professionals. You have these two saying one thing about the natural gas supply and demand situation, and tens of thousands others saying something else. Why, it's only natural that you'd believe the 2 over the tens of thousands, right? Yes, we will have somewhat less gas and somewhat higher prices in the near term. That is obvious. What is also obvious is that as soon as the nat gas prices gets above $4, the industry will activate several hundread more nat gas rigs in short order, overall supply will begin to increase as a result, and guess what will happen to the price of natural gas? It will come back down. Who could have guessed that, right? Art Berman is a complete fraud, and any author who relies on his work to compile a piece like this is either an ignoramus or an agenda-driven writer. The author of this piece can take his pick, but neither option is particularly attractive. Its not just Berman saying the wells aren't producing. compare the USGS figures with the company predictions. 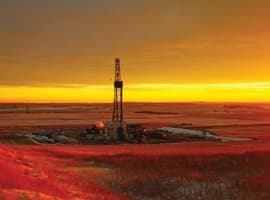 Fracking is based on the land rush model .. where co.s rushed out to lease acreage, and made more money from flipping leases than actually producing/selling gas. Many have managed to flip the leases to the likes of the Chinese/BHP/BG group all of which are proving a pig of an investment. You can put lipstick on a pig - but its still a pig. The whole issue of PUDs has yet to work its way through the system. No independent verification was required for the estimates given. Be interesting to see the impairment charges when they're due. 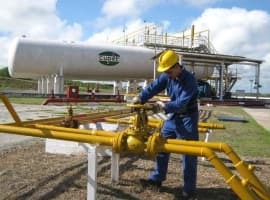 Do any of the commentators have any experience in the oil industry? I am a petroleum engineer with 30 years of experience and I agree with Art Berman and Hughes. I have reviewed his technical data and I really don't seem how one can argue with production data. Perhaps folks should check out the latest USGC report on shale reserves. They say that reserves are 1/2 to 1/3 the level reported by the likes of Chesapeake. Tom, Ron, David et al. Respectfully, you are making emotional arguments. Look at the production data and tell me why you think its wrong. Your arguments are pretty poor quality as they stand. I will give you the benifit of the doubt and assume that you can do better or perhaps you don't know very much about reservoir engineering. Please prove me wrong and give me some better quality arguments.I love informed opinion that differ than mine, because we call learn from that type of discussion. To add to the comments by "Bill" and "Tom White", most of the shale wells were drilled to "hold the lease" and were not economical.Yes, production continued to increase although working rigs declined. That was and is due to the release to the market of gas behind the pipe from previously drilled wells. Also there is gas being produced from "wet" wells where the low gas price is offsetby the "wet' products.From my perusal of the data, the breakeven price for shale gas is $6.00 to $8.00. I would agree with Billk and Tom White. Shale gas is most certainly abundant,but it ain't cheap. When the Finding and Development (F+D)costs per mcf are adjusted to reflect most realistic reserves estimates based upon production history, the F+D of the sweet spots will be $6 to $8 per mcf as stated by Bill K. However, most of the shale gas is contained in low grade deposits and those have F+D costs in the double digits. I've looked at Berman's report carefully and it looks solid. shale gas investors can say bye bye to their funds as shale gas will never make any money; not in this market. Unless Russia runs out of its gas all of sudden, US shale gas will never be profitable. Shale gas investment is truly a ponzi scheme. Yes, I know it's shocking & it's sad. But it's time to face the truth. It's not going to end well for shale gas investors & companies alike.